Love is... losing the game, but making a great match. - Love Is (Любовь Это). Оригинальные комиксы "Love Is". 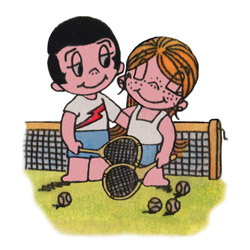 Love is... losing the game, but making a great match.